A Great Alternative to Junk Food! Salty? You've Got to be Kidding!! 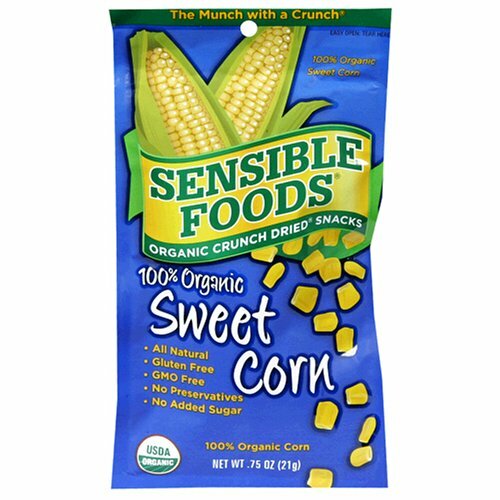 My daughter absolutely loves this snack! It's healthier than potato chips, pretzels, popcorn and other junk foods that children eat these days. I disagree with the people here on Amazon that highly criticize this product based on the "Sea Salt" ingredient. It's hardly salty!! FYI, there is more SODIUM in pretzels, popcorn, chips, beef jerkies, deli meats, mac-n-cheese, chicken soup, string cheese, etc. (foods that you probably put in your children's lunches!) 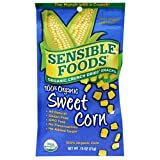 Even Kettle corn (which is sweet and salty) has more sodium than this Sensible Foods Sweet corn snack! Please never stop carrying this! Parents & kids both love these! I don't normally review items, but I had to write something on this because all of these "it's too salty" comments are driving me crazy. These are hardly salty at all.